Canada has a long history of producing secret comedic weapons, from Dan Aykroyd to the Kids in the Hall and Mike Myers. So you have to give respect to native Canadian Lachlan Patterson for making it through those ranks after years of hard work. "It was really difficult because Canadians don't care what show you've been on or who you opened for," Patterson says. "They aren't an easily impressed nation. 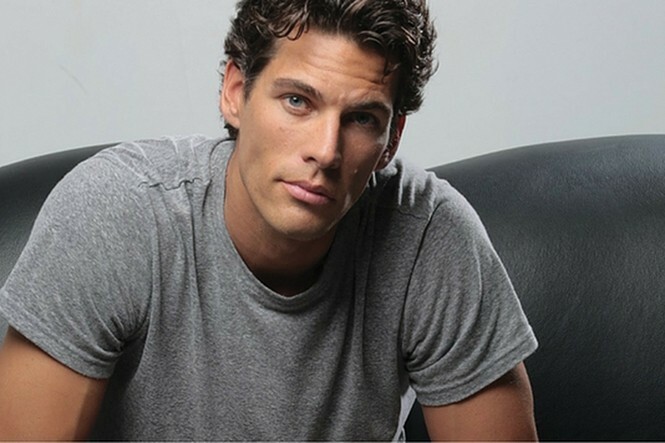 The only way you truly earn respect in Canadian comedy is by putting in your time." That effort is now paying off for Patterson with gigs like co-hosting The Kooks of Komedy Podcast with Joe Praino, and his own stand-up special on SeeSo (which will also be released as an album), Live from Venice Beach. As for touring, Patterson has been working on new material as he goes. "I think my material is much more personal than it used to be. It feels way better to talk about the stress in my life and have people laugh. It shows me I'm not alone," he says. The famous 1954 film that birthed the best-selling song "White Christmas" quickly became a holiday staple, and it's little wonder why. Its composer, Irving Berlin, was an American icon, and its tale of two ex-GIs/showbiz buddies who stage a holiday show in an idyllic Vermont inn elicited pangs of nostalgia in its post-war world. The movie's stars, Danny Kaye and Bing Crosby, have long since shed their mortal coils, but that need to revisit simpler times is no less potent now, given the turmoil and tribulations we encounter on this polarized planet. Broadway at the Eccles deserves kudos for bringing back the stage adaption of this classic as a way to remind us that sugary sentiments are always sacred, especially this time of year. 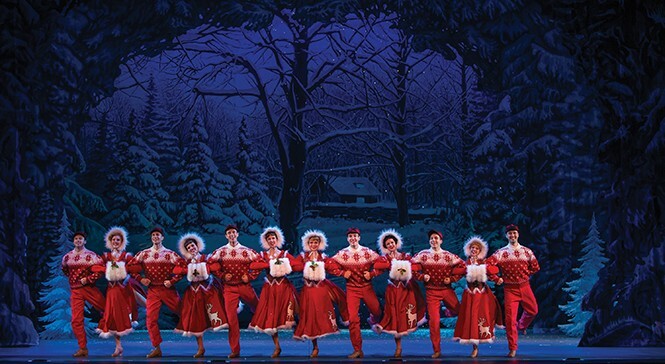 Along with the title tune, there are plenty of other favorites—"Count Your Blessings Instead of Sheep," "Happy Holiday," "Sisters" and "Blue Skies" among them—not to mention a heap of dancing, romancing and wisecracking as well. Sure, it's quaint, old-fashioned and even corny at times, but leave your cynicism at the door and take an opportunity to shed the weight of the world. December is defined by traditions, and this is especially true when it comes to entertainment. 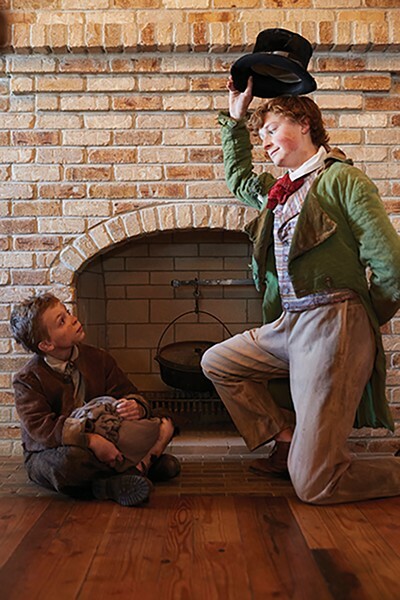 Amateur and professional theatre groups alike break out the time-tested Nutcracker and A Christmas Carol programming and rely on them to get audiences into the holiday mood. But the Utah Symphony is looking to reinvent traditions by teaming up with Cirque Musica, a traveling group not unlike Cirque de Soleil. 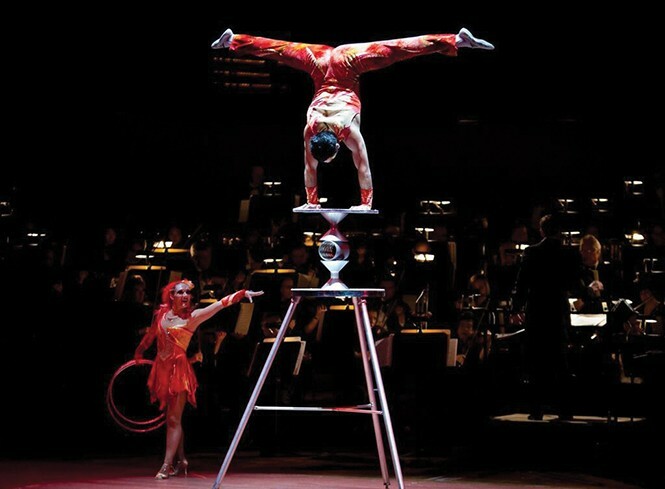 Combining circus acts such as aerialists, strongmen and jugglers with Christmas carols and classical music, the two ensembles provide an alternative to the classic holiday fare without completely rejecting it. Paul Meecham, president and CEO of Utah Symphony, says the combination of Cirque Musica performers and musicians helps provide a symphonic experience to people who normally wouldn't go a performance like theirs. "I think you expand your audience base. Symphonies these days are offering more diverse types of events," he says. "It's like opening a door to symphonic music. Maybe I don't want to go to a regular subscription concert, but I can see the music in combination with something else." The age of Oliver! is showing. Not the young character, of course—performed exceptionally by Maxwell Rimington in Pioneer Theatre Co.'s production—but the play itself. Like Charles Dickens' 1830s novel Oliver Twist, the music and lyrics by Lionel Bart also come from a different era: 1960. There's a violent undertone running through Oliver! and it's evident early on in the song "I Shall Scream" sung by Mr. Bumble (Kevin Ligon) and Mrs. Corney (Linda Griffin). That sensibility extends to Nancy's (Natalie Hill) contentious relationship with Bill Sykes (Howard Kaye). Times have changed since Oliver! first premiered on London's West End. The themes might surprise some viewers, especially those who expect to watch a happy-go-lucky children's musical. Despite the mixed messages, this cast is impressive—as is George Maxwell's incredibly scenic design. Rimington's Oliver Twist holds his own as a poor, orphaned boy who gets sold to an undertaker couple (James Michael Reilly and Carol Schuberg). After running away, he meets The Artful Dodger (Christian Labertew), a member of Fagin's (Bill Nolte) pick-pocketing crew. But when Oliver attempts to pick a pocket or two, he's caught and whisked off by the wealthy Mr. Brownlow (Richard Scott).